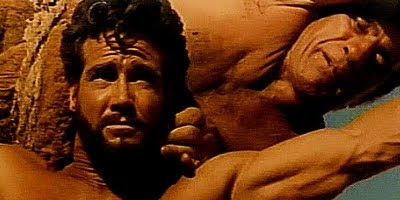 A muscular matinee mayhem sequel for the silly season ensues when Steve Reeves wrestles with beefcakes and his own memory as an accidentally inflicted bout of amnesia results in him taking on a second wife when he was meant to be busying himself in a power struggle and domestic dispute between two brothers which should not have been his affair in the first place. Sylva Koscina plays Mrs Hercules and Mario Bava is credited as cinematographer and with special effects. Always fun, if slightly daft, this entertaining sword and sandal feature comes alive with a great battle finale and is the sort of movie that would have made many a childhood Saturday morning an absolute delight.